18 ft. Round Liner Pad for Above-Ground Pools Economical floor padding that protects your liner! New Liner Pad makes old foam floor padding obsolete. Unlike foam, which can be easily cut by grass, roots or rocks under your liner, Liner Pad protects your liner from sharp objects. Liner Pad is tough, but also adds a layer of cushioning. Liner Pad is cut to size and seamed for your pool. No more cutting and taping as with foam. Virtually eliminate vinyl liner bottom leaks with Liner Pad. 18 ft. Round Liner Pad for Above-Ground Pools is rated 4.2 out of 5 by 5. Rated 5 out of 5 by Tommie from Worked excellent so I did not have to. ... Worked excellent so I did not have to. Rated 5 out of 5 by Nicole from This item worked extremely well for what I needed it for. It was easy to lay and feels soft under... This item worked extremely well for what I needed it for. It was easy to lay and feels soft underfoot. However, the mat is extremely thin so it is important to clear the ground below as much as possible. Small stones can still be felt underneath, but thankfully they cannot cause harm. One negative is that my pool is a 16-foot pool and this was not available in that size. It would have been great to have one that fit properly, but a little over never hurts anyone! Rated 5 out of 5 by dodaniel from Blue Wave 18' round liner pad. It was so easy to use. I did need a 16' but i went ahead and got the 18'. It t is working great. It is much better than using a tarp. I would recommend using it over the tarp as it is stronger and much easier to use. 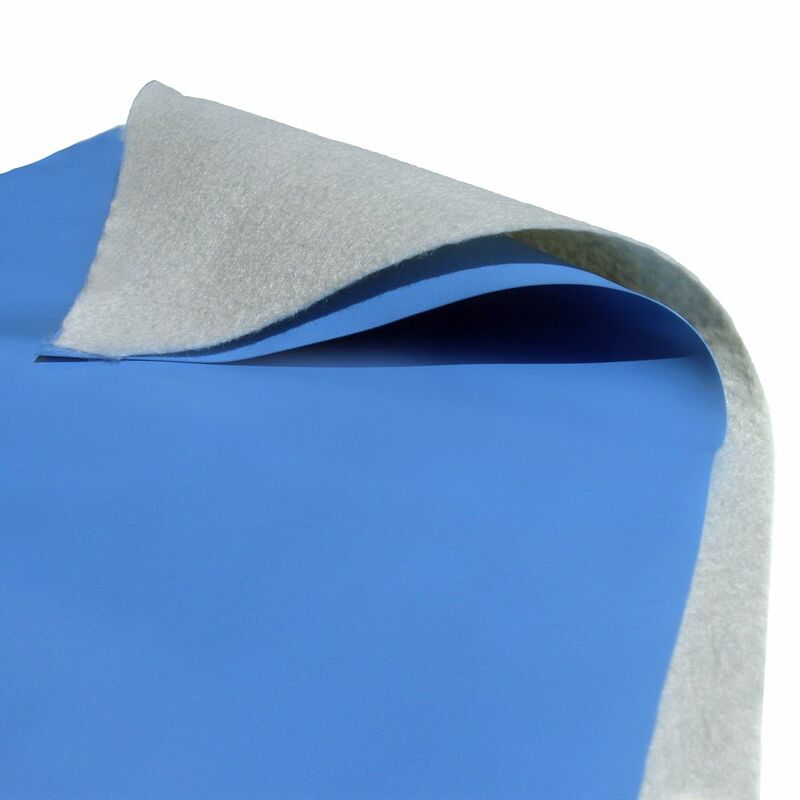 Rated 4 out of 5 by Danm from Liner Pad This does give a barrier of protection under your pool liner. The picture of the product shows the white pad and a vinyl liner also. You only get the white pad with this purchase. Home Depot needs to change their picture for this product. Rated 2 out of 5 by mulee from mediocre Not a good design had problems getting pool on the pad took 4 people to get it right. Would not recommend this.